The Best Garlic Butter Mushrooms Recipe – The Best Garlic Butter Mushrooms Low Carb Side Dish Recipe is the most delicious buttery and salty garlic butter mushrooms recipe for the perfect easy low carb side dish. Perfect garlic butter mushrooms go great alongside chicken, fish, steak, and other dinners – or mixed into mushroom risotto, pasta, rice and more! Garlic butter is one of my all time favorite flavor profiles. 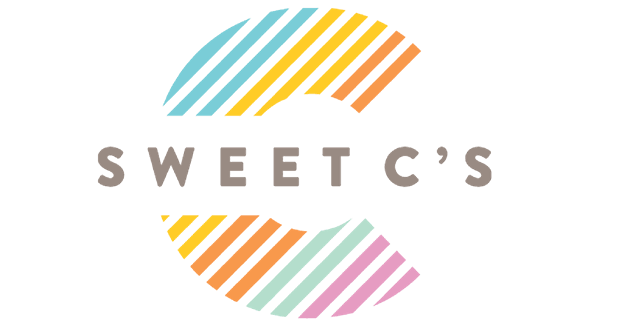 It is delicious on so many types of meats and vegetables – I can’t get enough. One of my all time favorite ways to cook with lots of rich buttery garlic flavor is when using my favorite vegetable – mushrooms! I love mushrooms – I can eat them anytime of day. I love the rich, meaty mushroom flavor in just about everything – and it’s one of my favorite all time side dishes that is simple, easy, affordable, and so good! These garlic butter mushrooms are a delicious, hearty, and savory side dish that are fabulous alongside steak, chicken, pork, lamb, fish, and other vegetables – and are amazing in pastas, omelettes, and all sorts of dishes! JUST TAKE ME TO THE BEST GARLIC BUTTER MUSHROOMS RECIPE ALREADY! If you’d rather skip my (very helpful, i think) tips and tricks, essential cooking info, and similar recipe ideas – and get straight to this deliciously easy garlic butter mushrooms side dish recipe – simply scroll to the bottom of the page where you can find the printable recipe card. To make these mushrooms absolutely melt-in-your-mouth-meaty and perfect, there are a couple tips and tricks I think are crucial. These simple steps will help you get mushrooms that are bursting with flavor, have a great crispy and crunchy (but not dry) texture that isn’t rubbery or soggy like some mushrooms could be. The key to perfect steakhouse style mushroom side dishes is their texture – slightly crispy seared on the outside, without being too crunchy or dry. To get this, mushrooms really need to brown on each side before adding in too much liquid to the pan or stirring too much. 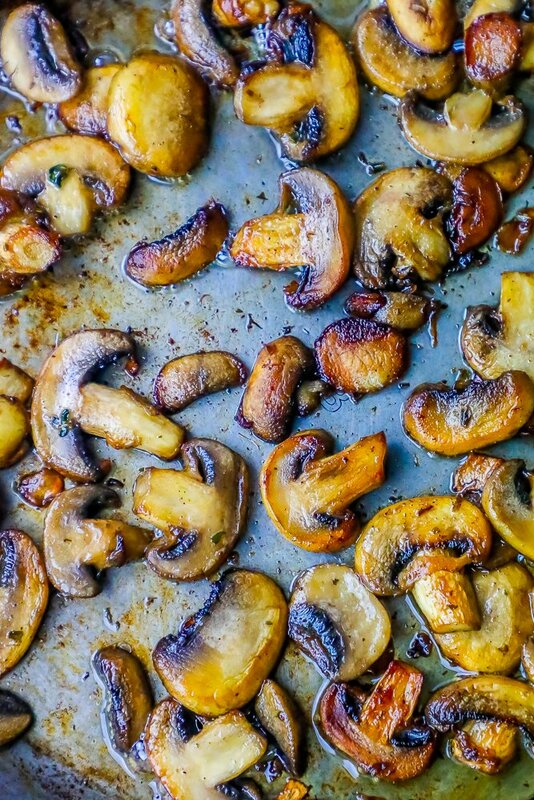 Let your mushrooms get lovely golden brown! 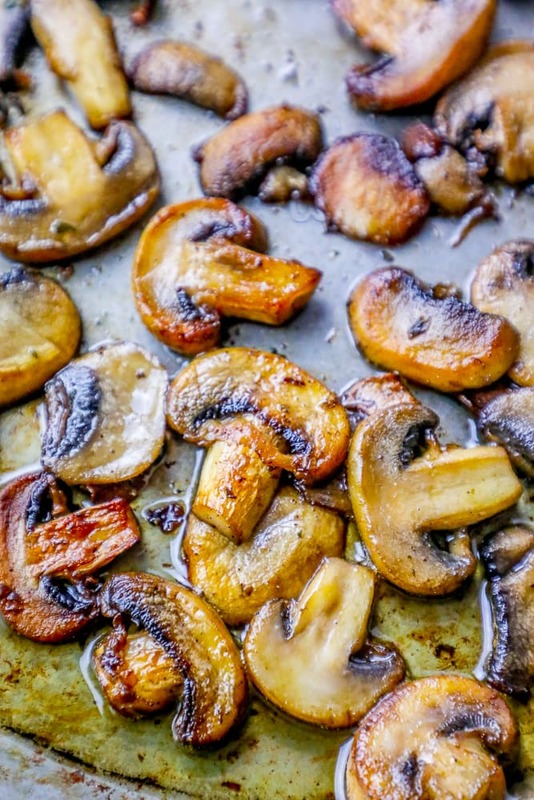 Use high heat to sear your mushrooms – you do NOT want to slowly cook them, or they will get soggy and limp. 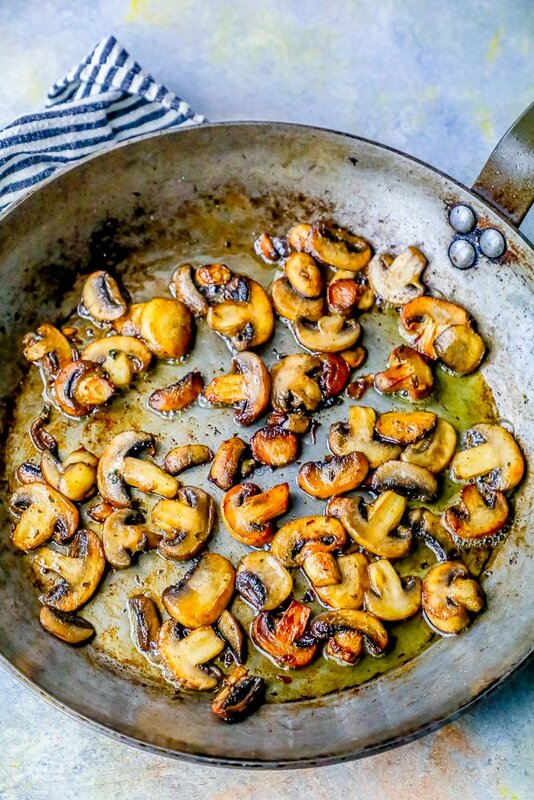 Overcrowding a pan lowers the heat – and boils mushrooms. Boiled mushrooms are not great – we’re going for a crispy seared flavor for these amazing mushrooms! Wait to add the wine. 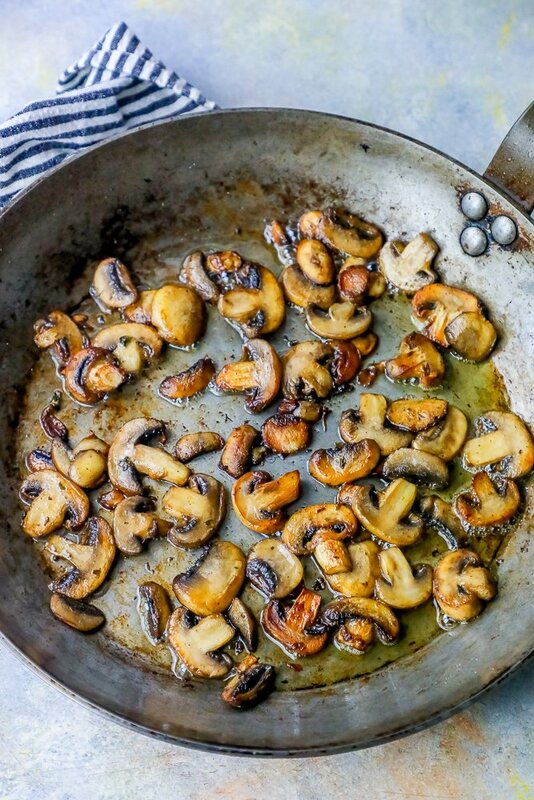 Again, browning your mushrooms is vital to this recipe – so adding liquid is only something you will do after mushrooms have been sufficiently browned. 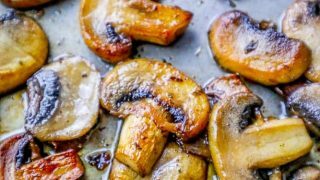 For the most amazing flavor ever, light your mushrooms on fire right after pouring the wine in so it flambes – this will add a delicious caramelized flavor that will dazzle guests! Add extra butter for sauce at the end. If you want to make a delicious garlic butter mushroom pasta sauce with these mushrooms, simply add a little wine and butter at the end to make a sauce. Don’t add these until your mushrooms have come together, again, so you don’t make them soggy! If you love this easy garlic butter mushroom side dish recipe, and you’re looking for more keto side dishes or other low carb sides to serve for a big family dinner or party, you’re in luck! If you love The Best Garlic Butter Mushrooms Recipe as much as I do, please write a five star review, and be sure to help me share on facebook and pinterest! Add oil and 1/2 butter. When almost smoking, add mushrooms. Stir and let mushrooms brown slightly. Add remaining 1/2 butter and garlic. Add white wine (caution- it will release a LOT of steam when it hits the pan). Add salt to taste (dont add before, the butter may make your mushrooms saltier than you realize when cooked down). I love this! This proves that mushroom is another amazing and indeed a magical plant. Thank you for sharing the mouth-watering recipe. Will surely give it a try. Amazing! Yum!! Easy and tasty, Thanks, will definitely be making these again.